Kudo's to KEH, Inc. There is a good reason that they are the world's largest used camera store. Anyone can sell used photographic equipment, but old cameras can have hidden issues, and when there is a problem, you get to test the seller's integrity and customer service. My dad used a twin lens reflex Rolleiflex camera to photograph my childhood, and using his camera is one of my earliest childhood photographic memories. I never did find out what happened to his camera, and after searching for it for years, decided that it was time to buy another. 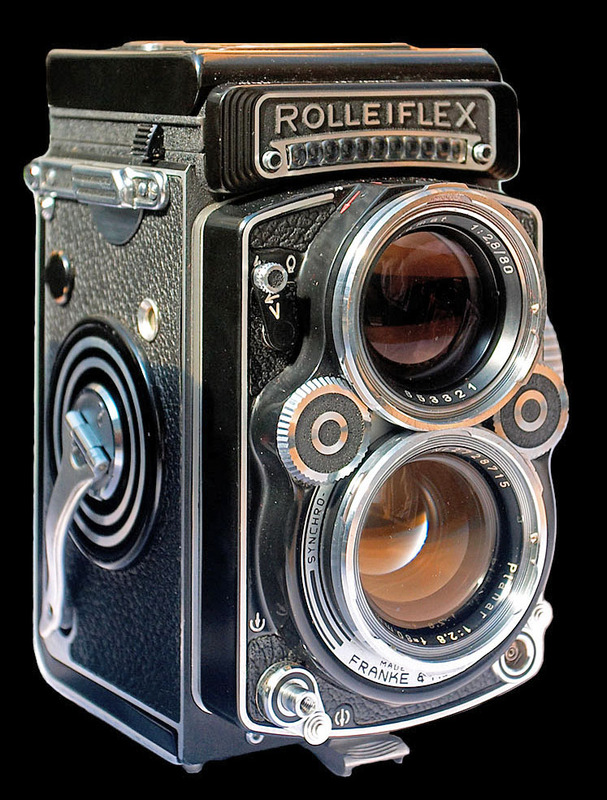 So I purchased an "excellent" Rolleiflex 2.8E2 with an 80mm Zeiss Planar lens from KEH, Inc. with the knowledge that their reputation is for grading very conservatively, so people are often favorably surprised by the condition of the camera being even better than expected. When the Rollei arrived, I did a cursory check that the focus worked, and that the shutter fired, but then put it aside because of a family emergency, and didn't get back to the camera for three months. At that time, I discovered that the aperture mechanism was jammed. So I sent it back to KEH under their six month warranty. Here's where it gets interesting: Instead of doing a quick and dirty repair that probably would not have lasted, KEH sent the camera for repair at their considerable expense to one of the world's premier Rolleiflex repair specialists, Harry Fleenor at Oceanside Camera Repair, in Manhattan Beach, California. KEH also extended their warranty for the time that the camera was away for service. When the camera was returned repaired, I noticed that a beat-up old protective B+W UV filter was missing from the camera's lens and brought that to their attention. Their response: After searching for the missing filter unsuccessfully for a week, they apologised, and not only send a replacement similar filter, but at their initiative also refunded the exorbitant cost of a new B+W filter. I'm not easily impressed, but all I can say about this wonderful experience with KEH's legendary customer service is WOW! ... thanks! ... and keep up the great work! Now I just have to hope that the 120 film size that the medium format TLR Rolleiflex camera uses continues to be available for years to come.